In the midst of confusion about what led to the recent, untimely deaths of two Afghan boys, two things are clear. First, the deaths are a tragic loss. Second, no Australian who was present will have been callous or indifferent to their sad fate. In an ideal world, there would be no armed conflict—and if, on occasion, it should occur then it would be moderated by the practical application of the traditional principles of just war theory. Under conditions of discrimination and proportionality, young boys would not lose their lives simply because they were in the wrong place at the wrong times. But nothing about the situation in Afghanistan is ideal. Nor could it be while insurgent forces employ tactics deliberately designed to test to the limit the capacity for ethical restraint amongst ISAF and Afghan forces. 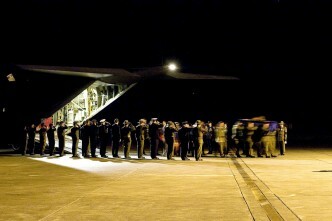 Beyond responding at a personal level to the individual tragedy that unfolds with every death of a non-combatant, Australian personnel are also keenly aware of the strategic costs of such events. In today’s conditions of rapid and communications, where a local incident can soon find a global audience, they are also acutely aware of the maxim (quoted in an earlier post for The Strategist), ‘lose moral authority, lose the war’. It’s a maxim understood equally by both sides of the conflict in Afghanistan—but, like so much else in that theatre, it’s applied asymmetrically. 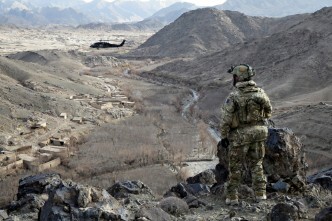 The insurgents know that they cannot ‘outgun’ ISAF—that this is not our point of vulnerability. Rather, theirs is the war of the ‘gnat’—prodding and provoking until in a fit of rage and frustration the larger animal does itself an injury. What’s more, insurgents employing this tactic are willing to expose non-combatants to the risk of harm during this contest. This isn’t to say that they are indifferent to the fate of those killed and injured—but rather that, within their world, such losses might be counted as regrettable but acceptable. That said, what the insurgents think about such matters is of only minor relevance. For it’s not their ‘moral authority’ that is being put at risk, but ours. The Canadian philosopher, Michael Ignatieff, has succinctly expressed the ideal against which we choose to measure ourselves. As he puts it, the difference between a warrior and a barbarian is ethical restraint. Those who serve within the profession of arms see themselves as warriors. Indeed it’s essential that they do so if they are to enjoy support—especially at home. For without that support (or at least comfortable indifference) operations of the kind unfolding in Afghanistan would not be possible. It’s for this reason that, in recent years, the leadership group of every Task Force has spent time examining the ethical dimension of their mission prior to making their way to Afghanistan. Under the direction of Combat Training Command (CTC Live), this preparation has gone beyond reviewing obligations of a general kind that arise under the Laws of Armed Conflict (LOAC) or more particularly, through understanding and applying Australia’s own Rules of Engagement (ROE). Rather, the leadership group for each task force examines how to ensure that the core ethical ‘DNA’ of each task force (and its constituent parts) doesn’t mutate under conditions of isolation and intense stress. 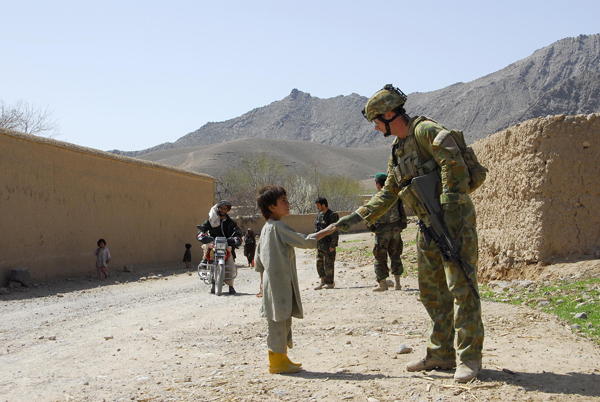 There are reasons to believe that this aspect of the preparation of Australian forces has borne fruit—with the Australian forces demonstrating real ethical restraint in their response to extreme provocation. It’s for all of these reasons that I believe that any involvement by Australian forces in the deaths of the two boys would have been genuinely accidental. There’s one other important ethical consideration that should be considered. 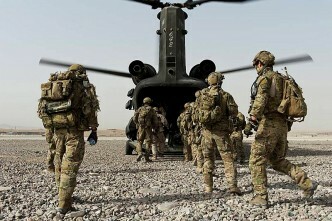 It concerns the balance of risk that we should ask our service personnel to bear in order to avoid civilian casualties. Specifically, should we ask our personnel to take on otherwise avoidable risks as the price to be borne for exercising discrimination and proportionality in our nation’s use of lethal force? I once discussed this question with the representative of a nation that had decided this question in the negative. This person believed that a country’s primary duty was owed to its own citizens—and consequently, they believed that firing a rocket from the relative safety of a helicopter (knowing that it would kill some innocent bystanders) was preferable to sending in ground troops who might limit casualties amongst non-combatants, but only at the increased risk of casualties or capture. 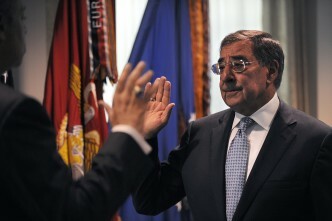 I am not indifferent to the argument that we should have a special care for the welfare of our serving men and women. However, I tend to the view that we meet our obligations to them by providing the best available training, equipment and support. In return for this, we might legitimately ask them to bear the additional risk that often comes to those who exercise the ethical restraint of warriors. Simon Longstaff is executive director of St James Ethics Centre. Image courtesy of Department of Defence.